Camera man :- Manoj Basnet/ Kunal Shrestha Editor :-Aashish Regmi Reporter :- Manoj Joshi. Former Minister and leader of Netra Bikram Chand-led Communist Party of Nepal (CPN), Khadka Bahadur Bishwokarma,has been arrested on Tuesday. A police team apprehended Bishwokarma, also a standing committee member and spokesperson of the party, from Dakshinkali yesterday evening. 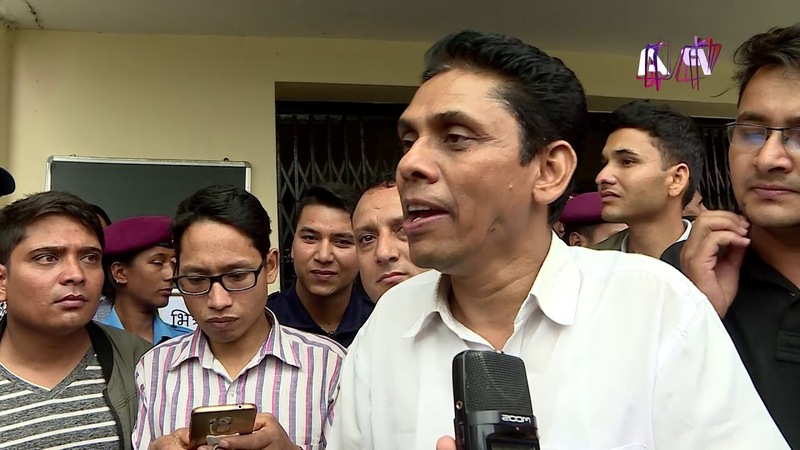 The government had intensified crackdown on CPN leaders and cadres accusing them of disturbing peace in the society and indulging in extortion Meanwhile, the CPN has condemned the arrest of its leader Bishwokarna with no reason. In a statement on Wednesday, party Chairman NetraBikram Chand has demanded immediate release of Bishwokarma, among others, without any condition. Saying that the government has put a ban on political rights one after another, Chand called on democratic and nationalists to retaliate the government’s move.